A youth forum on Unity will be held on 14 November 2015 together with the official launching of the short video competition on “Kuching…City of Unity”. This is a collaboration with the Sarawak State Government in conjunction with Kuching’s declaration as a City of Unity. Perhaps this is one of the many reasons people take part in volunteerism. Among those speaking about volunteerism at Angkatan Zaman Mansang Sarawak (AZAM Sarawak) seminar on Sept 7 to mark its 32nd anniversary was public speaking champion Stephen Fernando who gave an insight on how to make a difference by being different. About 150 participants are expected to attend a seminar on “Volunteers as Social Change Agents” to be held on 7th September 2015 in Kuching. The seminar is organized by Angkatan Zaman Mansang Sarawak (AZAM Sarawak) in conjunction with its 32nd Anniversary celebration this year. Dr. Peter Devereux, a Research Fellow with the Faculty of Humanities, Curtin University, Australia, will present the keynote paper on “Volunteers as Modern Change Agents”. Dr. Devereux is a part time Research Fellow at Curtin University’s Sustainability Policy Institute advancing the Doctorate of Sustainable Development focused on the UN Sustainable Development Goals that will take over from the MDGs in 2016. He has focused on volunteering for development policy, research and practice for the last twenty five years. Previously he worked in United Nations Volunteers headquarters in their Volunteer Knowledge and Innovation Section as Policy Specialist, Volunteerism and Civil Society, worked as a volunteer university lecturer and NGO environmental adviser in Nicaragua, UN Volunteers Programme Officer in the UNDP multi-country office in Fiji, and State Manager for Australian Volunteer International’s Perth office. He completed his PhD in 2010 on long-term international volunteers in development and sustainability. Other speakers include Datuk Ahmad Bin Abd Talib, Chairman of Yayasan Salam Malaysia who will provide “An Overview of Volunteerism in Malaysia Today”; Encik Mohamad Ariff Irwani Bin Azahari, Honorary Secretary of AZAM Sarawak who will share on AZAM Sarawak’s Experience on volunteering for development; and Mr. Stephen Fernando, a Public Speaking Champion, Toastmasters International who will motivate participants with a session titled “Make a Difference by Being Different!”. A panel session, entitled “Taking Volunteerism in Sarawak to the Next Level” will also be held at the seminar featuring panelists Dr. Rusmailani Binti Abdul Aziz, Head of Community Development Division, Social Welfare Department of Sarawak; Miss Marahaini Binti Marikan, Assistant Director, Ministry of Tourism and Culture Malaysia Sarawak Office (who will speak on “voluntourism”) Mdm. Margaret Bedus, President, Sarawak Women for Women Society and, Mdm. Rebecca D’Cruz, President, Friends of Sarawak Museum. to generate seed ideas on how the various voluntary organizations, individual volunteers and other relevant stakeholders in Sarawak could work collaboratively to bring volunteerism in Sarawak to the next level. 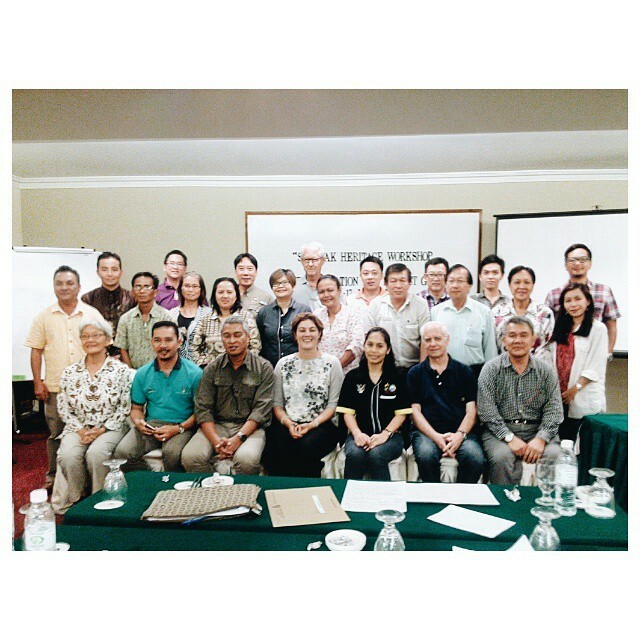 The participants expected are mainly members of various voluntary bodies in Sarawak. Also invited to attend are representatives of the relevant government agencies, the private sector and corporate sectors, and members of the media. AZAM will also hold its 32nd Anniversary Dinner on the same day, to be graced by His Excellency the Governor of Sarawak, Tun Pehin Sri Haji Abdul Taib Mahmud, who is also AZAM’s patron. As with other professions, journalism is guided by a set of values under their code of ethics such as commitment to professionalism, separation of news and opinion, a concern for accuracy and the ideals of objectivity. Media practitioners are also subject to specific legislation covering their various areas of work. The digital revolution has added new dimensions to issues with regard to media ethics and legislation as conventional journalists increasingly share the public domain with “citizen journalists’, bloggers and tweeters. Traditional rules may not apply anymore or lines are blurred between what is ethical or not, what is legal or illegal, due to the changing media and social landscapes. 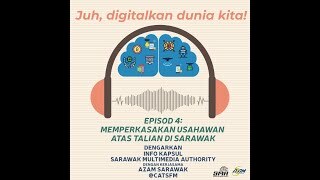 As an effort to help update local media practitioners on such concerns, Angkatan Zaman Mansang Sarawak (AZAM Sarawak) in collaboration with the Commonwealth Journalists Association (CJA) Sarawak Branch will be organising a workshop Media Law and Ethics on 14 August in Kuching. The half day workshop will be conducted by Dr. Venkat Iyer, a barrister and academic attached to the School of Law of the University of Ulster where he teaches constitutional law, media law, and business law. A former Nuffield Press Fellow at Cambridge University, Dr Iyer has lectured in a number of countries including the United States, Japan, Australia, Hong Kong, mainland China, Taiwan, Korea, Iran, Ukraine, Bahrain, Kuwait, Malaysia, Singapore, Thailand, Indonesia, the Philippines and India, and has acted as a consultant to a number of governments, private corporations, and non-governmental organisations. Dr Iyer runs training courses on media law and ethics for newspapers and media organisations around the world. He is the author of a number of books and articles, and the editor of The Commonwealth Lawyer and The Commonwealth Journal of International Affairs, both published from London. In 2008 the British Government appointed Dr Iyer to the position of Law Commissioner for Northern Ireland, a position he held until May 2015. On media law updates, the workshop will cover topics such as Defamation, Contempt of Court, and Hate Speech. On media ethics updates, the workshop will cover topics such as truth/accuracy in reporting, keeping news and comment separate, avoiding ‘paid news’, dealing with grief and shock in reportage, avoiding ‘chequebook journalism’, and pros and cons of self-regulation. About 25 local editors and reporters are expected to participate in the half-day workshop. The chairman of the CJA Sarawak Branch, Alice Wee hopes that the local media will take this opportunity to update their knowledge and understanding of the law and ethics with regard to journalism practices especially in this current era of more sophisticated and discerning audience and stakeholders. The Commonwealth Journalists Association is a voluntary professional association for working journalists throughout the Commonwealth, comprising 53 countries in Africa, Asia, the Caribbean, Europe, North and South America, and the Pacific. Since the formation of the CJA Sarawak in 2003, the association has essentially emphasized on training to help upgrade the standard of journalism in the state. 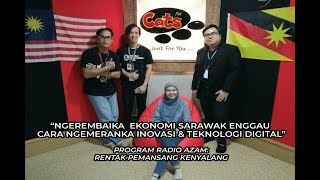 AZAM Sarawak is an NGO that promotes development communication to facilitate the development process in the state, targeting mainly grassroots communities. The media are among AZAM’s important partners in its efforts to promote development consciousness and participation among the people of Sarawak. AZAM’s work with the local media dates back to the 1980s mainly in the form of journalism training. BAU: Angkatan Zaman Mansang (AZAM) dengan kerjasama Pejabat Daerah Bau dan IM Sarawak telah menganjurkan program pembangunan belia luar Bandar untuk para belia di daerah ini. Program yang dikenali sebagai Jejak Aspirasi Belia ini telah berlangsung selama dua hari mulai 1 hingga 2 Ogos sebagai usaha untuk menyediakan belia luar Bandar dengan platform untuk mempelajari peluang-peluang pembangunan terkini yang member impak kepada mereka. Pada majlis pelancaran di Dewan Suarah Bau di sini semalam, Ahli Parlimen Mas Gading Anthony Nogeh berkata, pembangunan belia dapat dilihat dari segi pendidikan, bakat, kepimpinan dan kemasyarakatan sebagai contoh kesukarelaan. The year 2014 has been another eventful year for AZAM. In his Statement published in the 2014 Annual Report, AZAM’s Chairman, Tan Sri Datuk Amar Haji Mohamad Morshidi Abdul Ghani said AZAM was a key collaborator in some of the state’s seminars such as those on “Socially and Culturally Vibrant Cities and Towns” with the Ministry of Local Government and Community Development. He also said AZAM’s youth development programmes had also seen a steady increase in the number of participation as well as in partnerships with other institutions both local as well from outside Sarawak. Tan Sri Morshidi said during the year under review, AZAM also introduced new youth activities such as a collaboration with PETRONAS on a Youth Dialogue, which is a rural youth outreach activity to facilitate their interaction with the state’s leaders on development concerns in Sarawak. 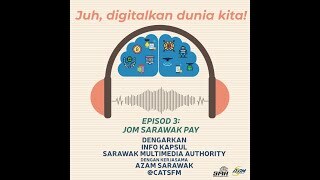 AZAM had also continued to work closely with local radio stations and newspapers to disseminate useful information on current development happenings around Sarawak through its radio programme and newspaper development feature articles. Meanwhile in his remarks at the 32nd Annual General Meeting (AGM) of AZAM held last Saturday in Kuching, Tan Sri Morshidi who is also the State Secretary said if last year’s performance of AZAM was any indication, AZAM looked set to not only enjoy more productive years ahead, but is also well prepared to scale new heights. He added, one of the highlights in 2014 was the launch of AZAM Online TV, an online video channel via Youtube, which was to help provide fresh and positive images of Sarawak to both local and international audiences. In this digital era, such move was a natural progression in AZAM’s efforts to communicate development information and knowledge quickly and more creatively, to the people of Sarawak and other stakeholders. Among other things, the AGM agreed with the proposal to introduce a mentorship progamme for the youth members of AZAM aged 21-30, by the senior members. This is primarily to groom the younger members to be future leaders in the organisation, and to work towards a more strategic and coordinated development programme for the youth target groups in Sarawak. Tan Sri Morshidi called on the senior members of AZAM to volunteer to mentor the youth members to help turn them into highly active volunteers. On matters raised by members, a former Deputy Chairman of AZAM, Datu Dr. Hatta Bin Solhi suggested that more youths be encouraged to reach out and work with troubled youths. Another member, Abang Haji Nawawi Abang Drahman said that in addressing problems of substance abuse among youths, those working with such troubled youths must be well trained. YBhg. 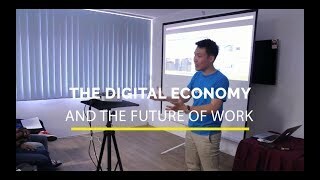 Dato William Wei, a board member of AZAM suggested that voluntary efforts should be made to provide more training opportunities for youths who are unemployed or lack job skills, especially by local industries. AZAM presently has more than 100 members who are accepted based on their commitment to volunteer in capacities such as, members of various working committees, conference speakers, facilitators, or moderators, trainers, writers and judges of competitions. KUCHING: The local tourism scene is seeing an injection of young blood with youth volunteers taking part in heritage activities. The Borak Arts Youth Series this June 13 is one of the programmes, bringing in artists and experts for a one-day workshop on how to make a living from the arts. It is an initiative by My Performing Arts Agency (MYPAA) in partnership with Azam Sarawak and Azam Youth Central. Registration is free but space is limited for the workshop, which will run from 9am to 5.30pm at Pustaka Negeri here. A group photo of the workshop participants. Photo by Amy Amin. 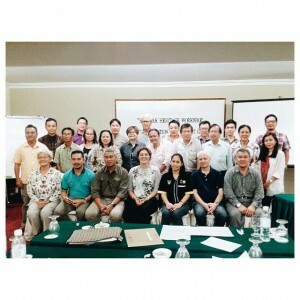 KUCHING: The Sarawak Heritage Society (SHS) joined forces with the Ministry of Tourism for the second time to present a workshop on ‘Sarawak Heritage and its interpretation for Tour Guides’ with Sarawak Tourist Guides Association (SKTGA) members recently. Following on from last year’s success, the program extended into three days in which members of the society and participants shared information and expertise on Sarawak’s heritage. Youths in Kuching and the surrounding areas are invited to visit or participate in the first edition of the AYCLive@WayangStreet for the year, this March 14 at the AZAM Youth Central (AYC) at Medan Pelita, Kuching. Organised by AZAM and the AZAM Young Souls volunteers, the one day event will be held from 12.00 noon until 10 p.m. It will present diverse activities showcasing local youths’ talents and interests. These include the regular activities of live performances by local bands, a mini art exhibition, a flea market and dance performances. The weekend event will also introduce new activities which are, a martial art demonstration including wushu, and an outdoor event – the Street Workout Challenge. Another new activity to be introduced is a “business and sales pitch” competition to help train young entrepreneurs polish their skills in pitching their products or, their business to investors. Other youth interests which are expected to be showcased during the weekend programme are cosplay from Gendaibu club and yoyo demonstration by Mr. Ryan Han from Yoyo Rangers. The present of card game from NEKO NEKO NYA group will add more spice of this AYCLive@WayangStreet series. This new episode will also welcome our friends from The HUB Youth Centre with the showcase of their own talents. The AYCLive@WayangStreet series or urban youth events was introduced in January 2014, spearheaded by youth volunteers under AZAM’s youth development and engagement programme. A total of 5 events have been held so far, which were centred at the AZAM Youth Central, housed at Medan Pelita courtesy of the Pelita Holdings Sdn Bhd, on the historic Wayang Street, Kuching. Under the banner of Young Souls & the City, the weekend activities are to help provide a platform for local youths to congregate, interact and create various useful and creative activities not only for the youth themselves but also for the larger community. The events are also to contribute to making Kuching city more socially and culturally vibrant, and to bring together youths of diverse backgrounds, races and beliefs in efforts to strengthen social harmony in the state. Youths and members of the public who are interested to find out more about the event may contact AZAM staff, Razali or Nazrie at 082-411799.